Alright...this post is full of random accessories that don't merit their own post. 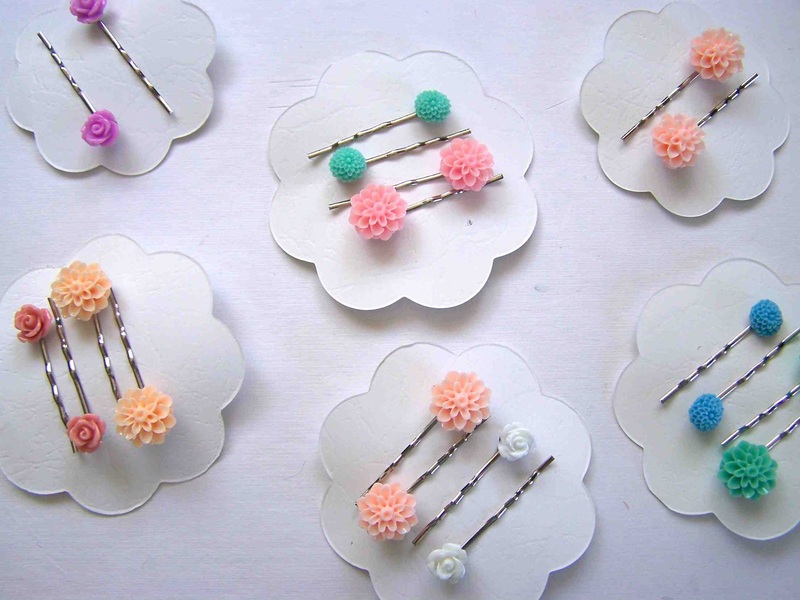 So here you have it, a collection of hair pins, hair clips, braided bracelets, and rings. They really are really basic (glue this to that), but they turned out cute, and I'm sharing them anyway. 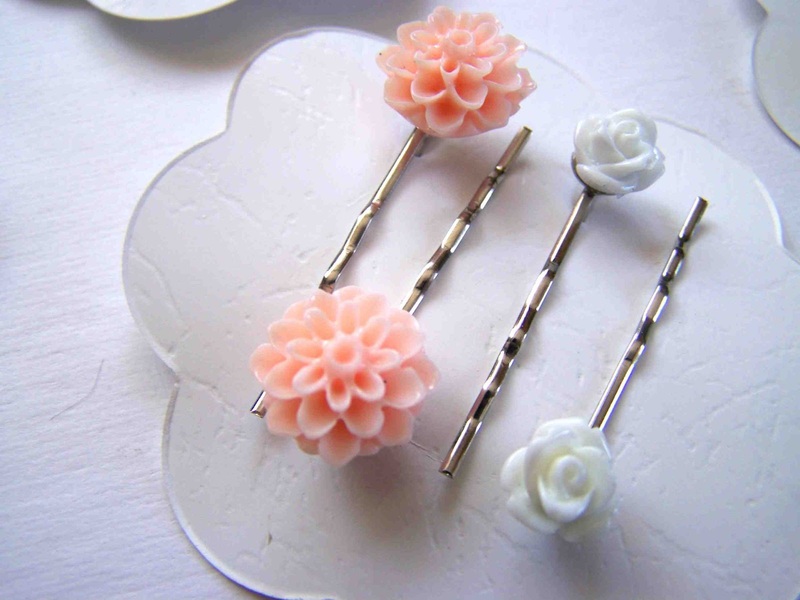 Hair pins and filigree adjustable rings topped with flat back cabochon, supplies purchased here. Most of these beauties made their way to the Blackfoot Gifts Bazaar, but a few accompanied the Apple of My Eye, June Bug, and Gotta Have Faith skirts. (By the way, if you are a SEI local, you should stop by the bazaar on your way to the EISF). There are so many neat things to see. Although my Go! Baby is intended for fabric, I cut some cardstock flowers using my rose of sharon die. They made some cute little packaging for the pins and rings. 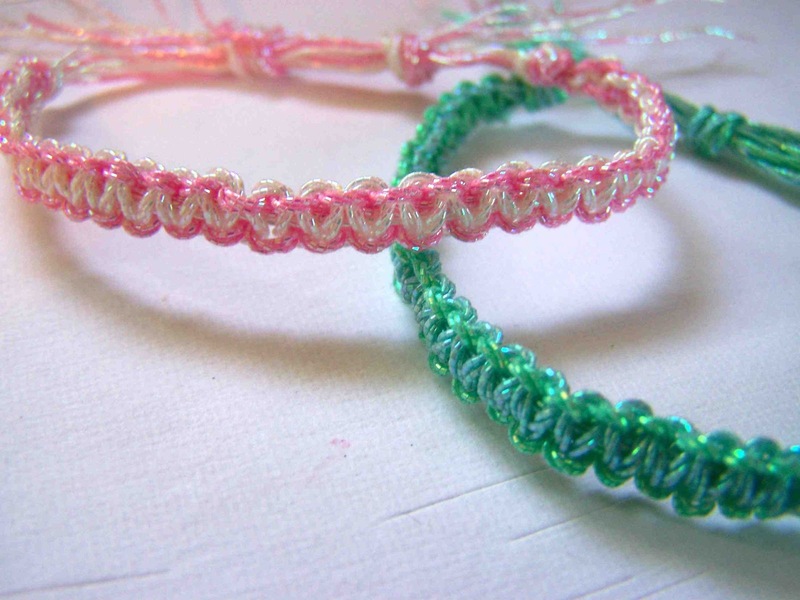 These shiny little friendship bracelets were made to accompany the Kissing Cousins Skirts that we gave to Clark's cousins. The technique is the same as I used on the Chunky Braided Bracelet. 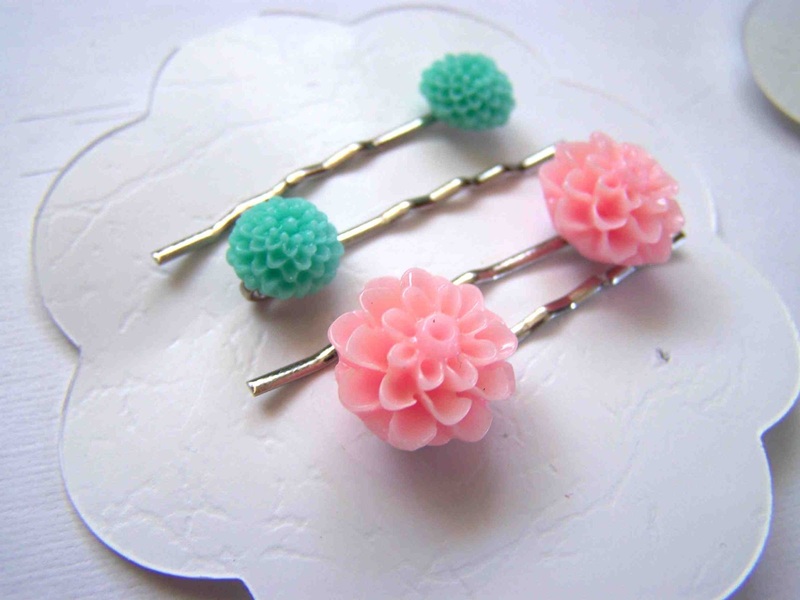 These little pretties were made for my nieces to wear at my brother's wedding reception. 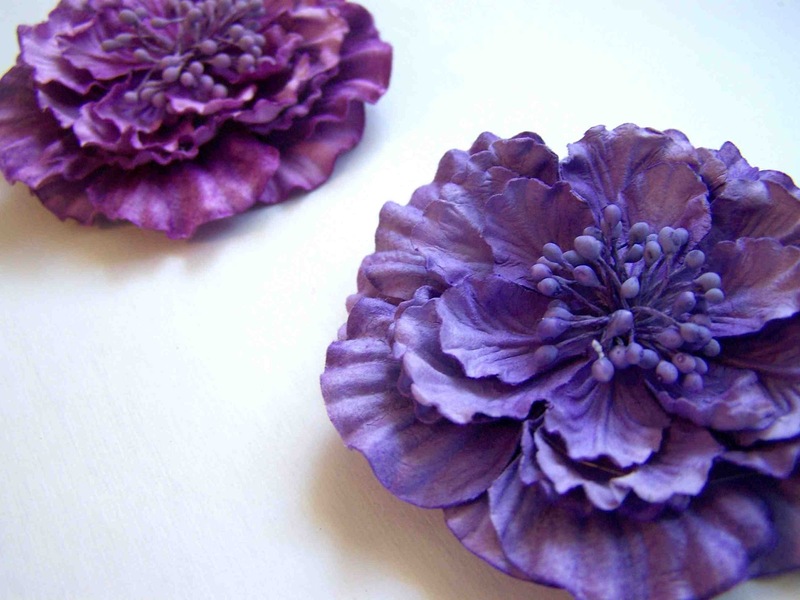 The flowers are a thick paper-y material. I found the flowers at Michael's, and loved them. 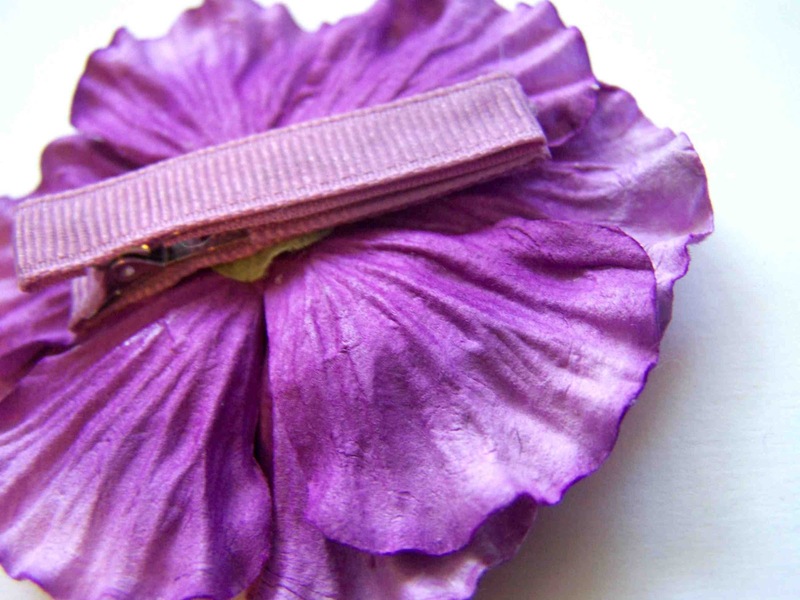 Simple little projects to add a finishing touch to a handmade skirt or gift. I love all the color combos you put together! I hope your sale goes well! Oh how pretty! And dangit, we stopped by the fair on Saturday (yes, the day it rained and all the rides shut down) and I didn't remember to look for the boutique. 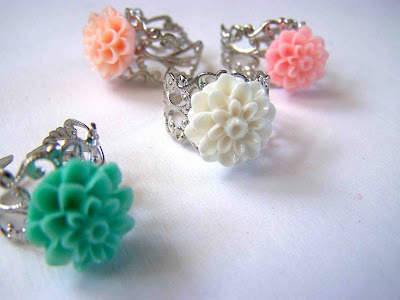 The girls have loved their bracelets and cute flowers! Thanks for making them!